Telephone System Engineers Service are equipped to provide you with a professional and convenient way to help you decide on your phone system installation needs. Consultation time- Our consultants after discussion and personal meeting with you, will evaluate and suggest the best fit installation plans that will be the best fit for your business needs. 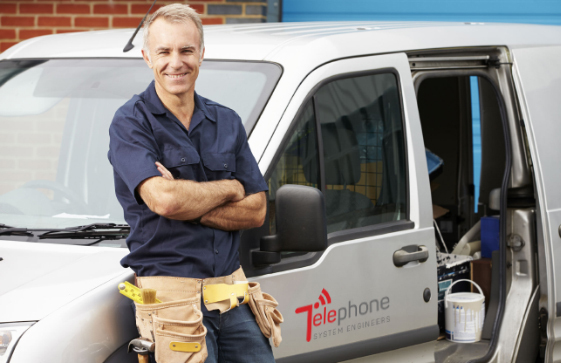 Whatever the size of your business, Telephone System Engineers can help you out. One day installation- Our highly professional and trained engineers will assist you to get your new telephone system installed as early as possible, preferably on the same day. We understand how valuable your time is and how important it is to get your new telephone system up and running. That is why our engineers target same day installation and training, so that your communication lines will be cleared and you can resume sealing your business deals. Training- we will ensure that your staff is well equipped to use your new telephone system with ease and are updated on every new feature. All this without losing any time and during the process of installation and line transfers.